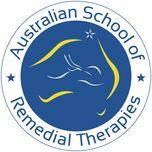 The Australian School of Remedial Therapies Continuing Professional Education (CPE) or Continuing Professional Development (CPD) courses are recognised for CPE Points by professional associations including ANTA, ATMS, AMT, AAMT and MA. The Australian School of Remedial Therapies is a subsidiary of the Chi-Chinese Healing College which was founded in 1990 by Master Zhang Hao with the objective of promoting ones health awareness through offering high standard mind-body-spirit integration courses to attain a fulfilling lifestyle and maximise the participant's full potential in natural health and healing. The College is accredited by Australian professional complementary medicine associations including ANTA, ATMS, AMT, AAMT, MA and is affiliated with Beijing China International Exchange Centre of Traditional Chinese Medicine.